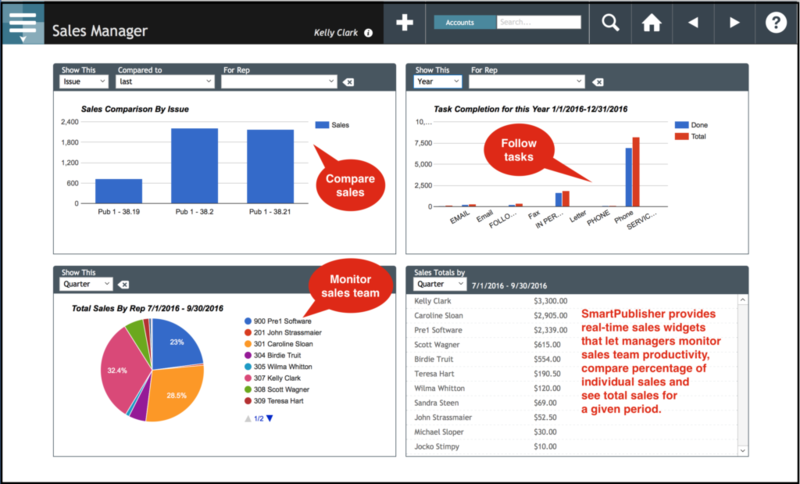 SmartPublisher™ magazine ad management software gives you easy access to detailed reports covering your team’s sales, prospecting, revenue projections, and production. SmartPublisher™ ad management features make it easy to control ad categories, ad rates, security settings, and more. Contact us today for a free demo to learn more about the ad management tools in SmartPublisher™ magazine management software.